The Panama Hotel celebrates its 105th Anniversary this year, 1910-2015. 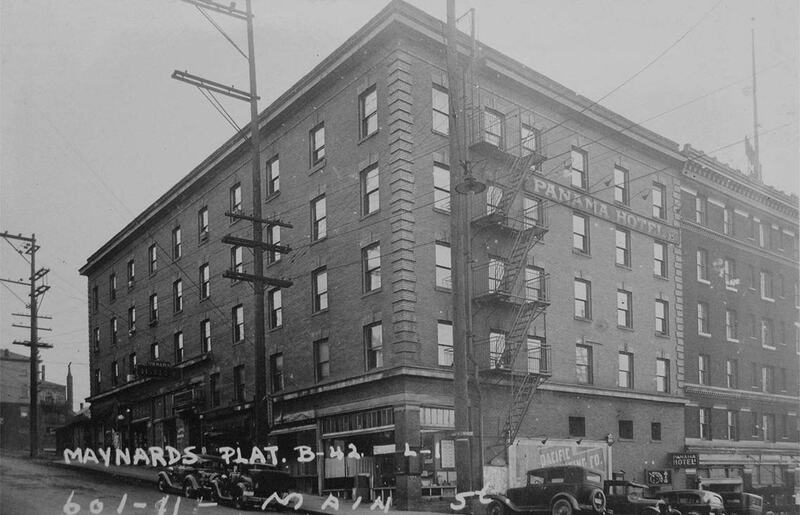 In August 1910, the Panama Hotel opened at 605 1/2 S Main Street, in the heart of Seattle’s Nihonmachi (Japantown). The designer and builder was Sabro Ozasa, a Japanese architect. Jan Johnson is the third owner of the property, acquiring the building from the Takashi Hori family, who owned the property from 1938-1985. Mr. Ota was the original owner of the property in 1910. As Jan Johnson shared with PHF producers, when she returned to Seattle after living in Italy for 10 years, she heard the Hotel was on the market – with several offers. Her journey from that point to finally acquiring the building is an integral part of the overall story. 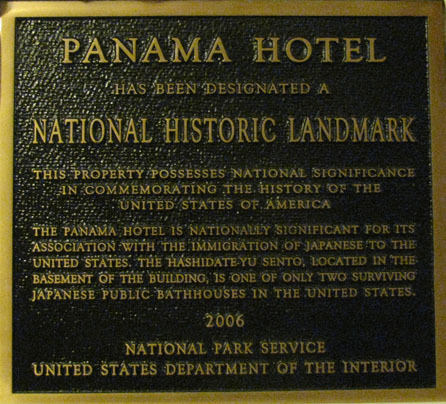 The Panama is a five-story hotel that contained Japanese-owned businesses in the retail and office spaces, including an interpreter, dentists, life insurance agents, physicians, and a photo finisher. The upper floors were single occupant residences. Through the years the Hotel served generations of Japanese immigrants, Alaskan fisherman and international travelers, who originally paid about $6 a month for a single room. Built as a “workingman’s” hotel, the building is centrally located in Seattle’s Japantown in the Historic Chinatown-International District. The brick outer facade opens to a leather stairway with brass handrails and is illuminated by recessed lighting reflecting off smooth tile – transporting one to another time. And as owner Johnson shared with PHF, “The building has always been operated as a Hotel and its best use is as a Hotel”. 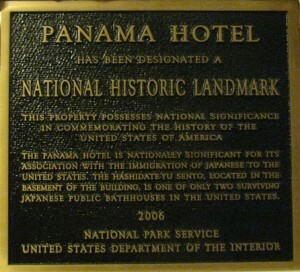 More than a Hotel – The Panama Hotel was designated a National Historic Landmark building in 2006. On April 9th, 2015, the Panama was also designated a National Treasure by the National Trust for Historic Preservation at a special event held at the Nisei Veterans Committee (NVC) Memorial Hall in Seattle, where a private screening of The Panama Hotel Film was shown. One of approximately 60 designated Treasures in the United States with this distinction, The Panama Hotel is one of only two National Treasures in Washington State and the only one in Seattle. In addition to remarks by Congressman Jim McDermott and Stephanie Meeks, President of the National Trust for Historic Preservation, the Deputy Mayor of Seattle Hyeok Kim, on behalf of Mayor Ed Murray, officially declared April 9th as The Panama Hotel Day. PHF aims to share the stories of this uniquely preserved building and how the current owner has been a steward of the history of the Hotel and her contributions to Seattle’s Japantown. PHF invites you to share a story about your visit to the Hotel, how you came to know the property existed, or other experiences you may wish to provide to the contact information below.